See website for map; come out Jinbocho subway exit A1, turn right and walk about 15 meters to the Kitazawa Building. We will be on the ground floor at the back (left side), beyond the children’s books. Look for the SWET sign. 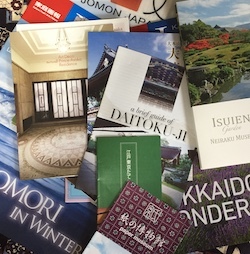 Travel writer Rob Goss will share his experiences on tourist promotion press trips in Japan and travel writer/photographer Phil Ono will talk about style and translation for travel-related text. Both are members of SWET’s Travel Writing SIG. Others will share tour guide translation and related experiences.